Apple Butterflies: Who Knew They Were So Exciting!! 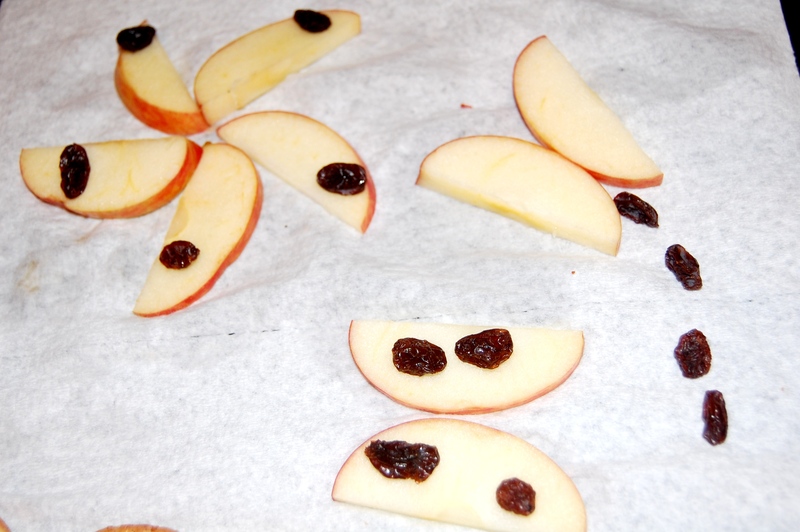 Who knew apple butterflies and apple ‘flowers’ could inspire lunch time! One lazy raining afternoon, I was cutting up apple slices for Sweetpea’s lunch. For some reason, she started talking about “triangles” (or “treigh-nals) and “circles”. So I thought I’d arranged the apple pieces into triangles and circles. She seemed intrigued. So we tried ‘flowers’ and butterflies. As I started decorating them with raisins and cheese, she devoured it all! Side note…our little lady has a thing for NOT EATING. So anything that motivates her to eat! I’m in. As I recounted this story to my mother, she said she used to make rabbit grass for me. Apparently, my daughter may emulate me (ALOT). Rabbit Grass is…grated carrots with raisins. I will have to try that next.